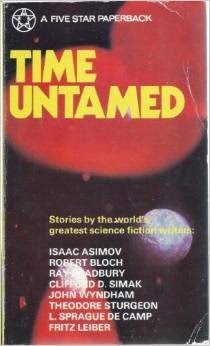 Two weeks ago, I gave a quick gloss of a review of Ted White's The Best from Fantastic, and the other anthology drawn largely from Fantastic, even earlier than White's and including stories from Fantastic Adventures and one from Amazing, is Ivan Howard's Time Untamed, mentioned here briefly some time back (with its original ugly cover, as cheerfully reproduced by an Award Books reprint); the slightly less ugly second edition and UK covers are below. 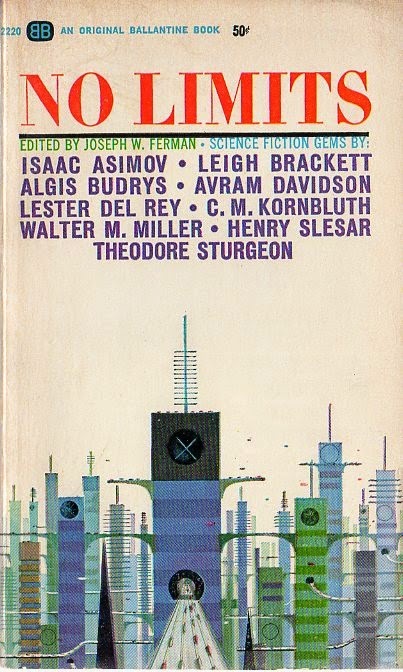 This volume is an example of the "hidden" anthology drawn from a given magazine, or in this case a magazine group (as is the Weird Tales magazine anthology The Unexpected, mentioned in that same post), as are Ivan Howard's several other anthologies for the publisher Belmont/Belmont Tower, which drew from Science Fiction, Future Fiction, Dynamic Science Fiction and the other sf magazines Robert Lowndes edited for Columbia Publications, owned by Louis Silberkleit, who also owned the later, and similarly low-budget Belmont books concern (Silberkleit was also a partner of Archie Comics guy Martin Goodman in several projects over the decades) ...no mention, or essentially so, in the book's packaging that all the collected stories are from the one source, or related group of sources. 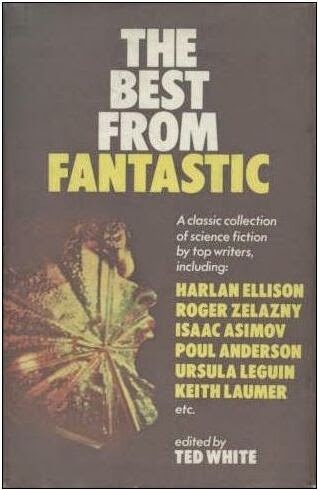 Fantastic Universe, mentioned above as the source of the Del Rey story that has no reason to be in a Fantastic anthology, had one obvious anthology drawn from its pages, The Fantastic Universe Omnibus, but FU (and The Saint Mystery Magazine) editor Hans Stefan Santesson later published several anthologies that draw all but exclusively from FU's pages, while not advertising that fact, beginning with Rulers of Men. 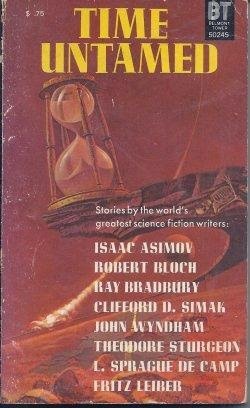 I recently suggested to the editors of The Encyclopedia of Science Fiction that not only Samuel Mines's The Best from Startling Stories should be noted in the entry for Thrilling Wonder Stories, Startling's older sibling which the anthology also draws from, but that Damon Knight's anthology The Shape of Things should also be cited in both magazines' entries, as it's also an anthology drawn intentionally and exclusively from both magazines (and quite a good one)...another "hidden" example (as the Mines Startling volume almost is for TWS...). 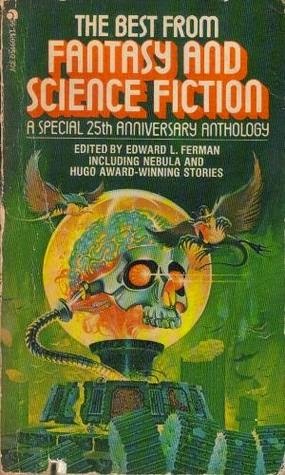 Joseph Ferman's No Limits (quite possibly co- or ghost-edited by his son, Edward Ferman) is an anthology drawn from the 1950s version of Venture Science Fiction magazine; Once and Future Tales, an all-but "hidden" anthology from Venture's sibling The Magazine of Fantasy and Science Fiction (and commissioned by a short-lived publishing project, and outside the then-regular set of Doubleday's Best from F&SF volumes). 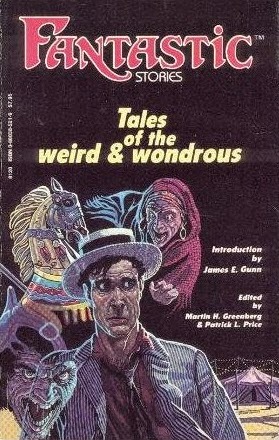 I hope to add other examples to an ongoing list here...I've also briefly reviewed a vintage pirated volume taken from Christine Campbell Thomson's legitimate UK anthology series Not at Night that drew regularly on the early Weird Tales for its contents...the pirated volume published here as one of the early products of The Vanguard Press, co-founded by Rex Stout, no less. Some previously posted, some not. 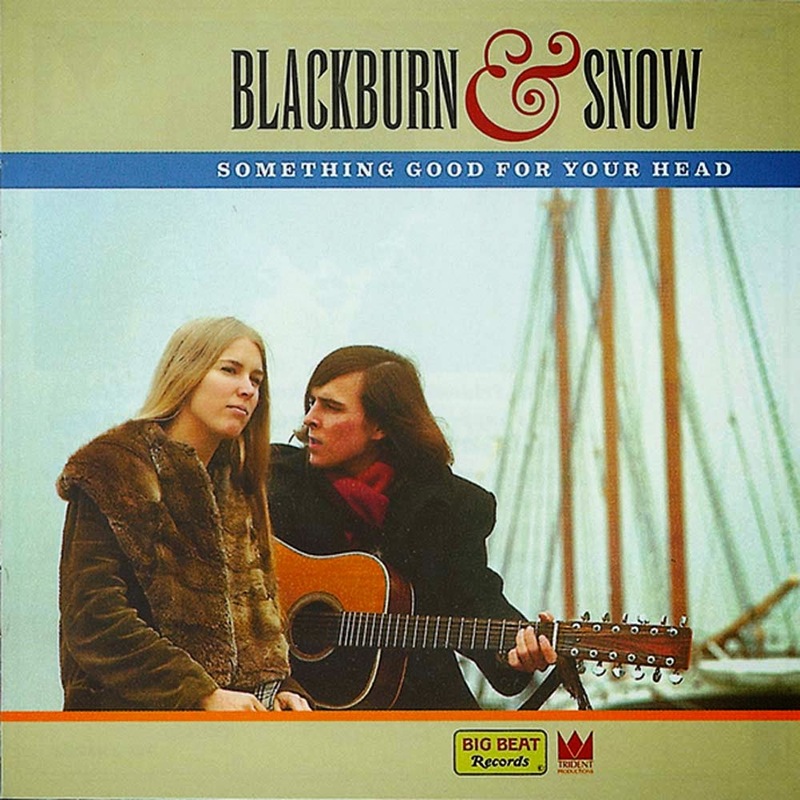 Buddy Holly: "Learning the Game"
The Springfields: "Silver Threads and Golden Needles"
Jackie DeShannon: "Needles and Pins"
Mimi and Richard Fariña: "Reno, Nevada"
The Byrds: "Wild Mountain Thyme"
The Byrds: "Here Without You"
Blackburn and Snow: "Stranger in a Strange Land"
The Seekers: "I'll Never Find Another You"
Fairport Convention: "It's Alright Ma, It's Only Witchcraft"
Joy of Cooking: "Down My Dream"
Joni Mitchell and The Band: "Coyote"
The two most durable of the US-based fantasy-fiction magazines of the latter half of the 20th Century, Fantastic Stories (founded 1952, folded into stablemate Amazing early in 1981) and The Magazine of Fantasy and Science Fiction (since 1949), were edited by their most durable editors forty years back (Ted White would edit Fantastic from 1969-1979, after a brief period as assistant editor of F&SF in the 1960s with Edward Ferman, who edited his magazine from 1964-1991, also serving as publisher for most of that period)...and they produced these volumes, the Fantastic volume the only above-board best-of from its magazine for two decades (eventually another, also not truly representative, would be published in the 1990s), the F&SF item a slightly variant volume in a fairly regular series of best-ofs...one which gathered from a series of special author-tribute issues, beginning with a special Theodore Sturgeon issue in 1962. 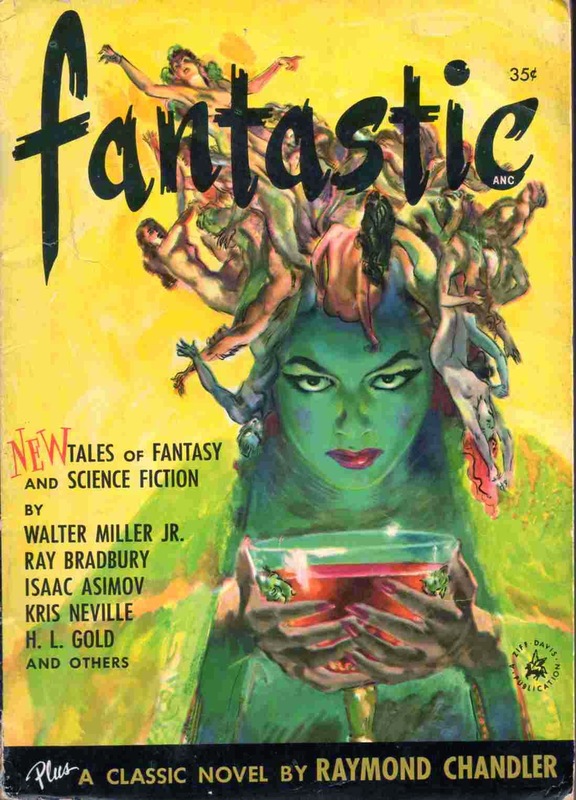 White's book is, if anything, too modest in not gathering any of the fiction he published in his issues, as he was one of the two best editors the magazine would have, drawing instead mostly on contributions from Cele Goldsmith Lalli's term, and the first issues of the magazine as edited by Howard Browne. 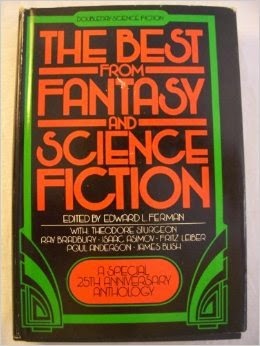 Most of the featured-author special issues of F&SF were published during Ferman's editorship, and while the essays and bibliographies about their subjects are good reading, the often excellent stories published in those issues aren't the best of the fiction that magazine published by any of the so-honored writers...even the brilliant "Ship of Shadows" by Fritz Leiber, or the ambitious and groundbreaking Sturgeon story ("When You Care, When You Love" was meant to be part of an eventual novel, which Sturgeon never completed as far as I know) were not the most impressive work they placed with F&SF. 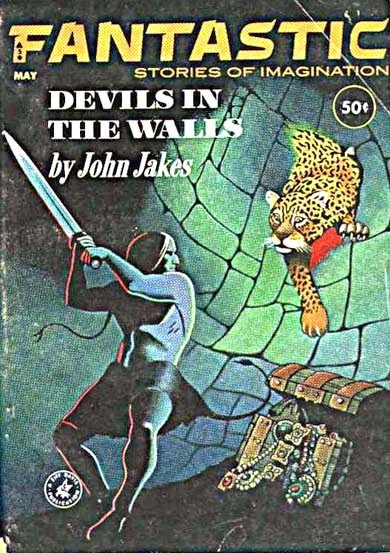 But you won't suffer in reading anything in either book, even the odd inclusion of a Keith Laumer story from Amazing in the Fantastic book...and I'm surprised on re-reading to find how much I enjoy Leiber's "I'm Looking for 'Jeff'", not the first Leiber story from Fantastic I would've reached for if I was White, but nonetheless so deftly written and so clearly the work of the same mind responsible for the likes of "Smoke Ghost" and "The Secret Songs" that White's bias, perhaps, toward stories he thought were being overlooked in the magazine's back issues might be indulged. 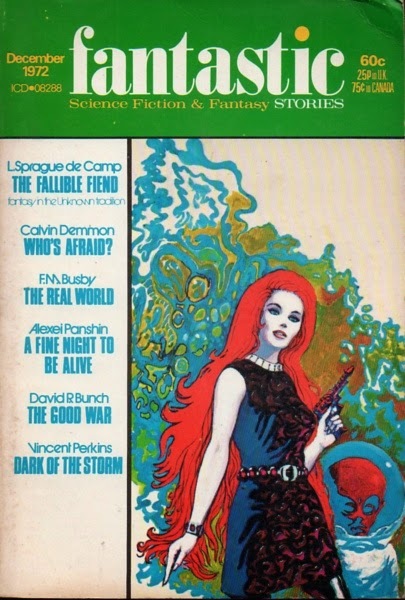 It is rather sad that it took some more years before there was a special author issue of F&SF for any woman writer, and that White also almost overlooks all the notable women writers to contribute to and, like Le Guin, to be Discovered by Fantastic (the magazine was the first to publish Kate Wilhelm, Marion Zimmer Bradley, Sonya Dorman and others, at least the first professional market to publish their prose...along with featuring notable stories by a range of writers from Shirley Jackson to Pamela Sargent). 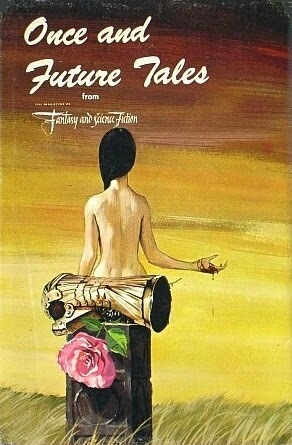 But, again, you can do worse. 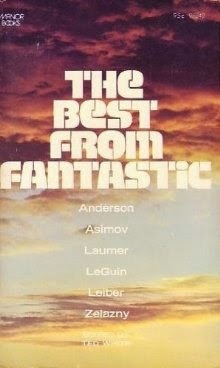 note also the misidentification of this book as sf.